Assistant Coach decision to be made soon. 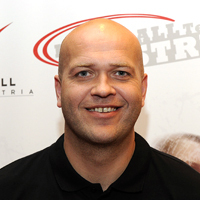 The Austrian Handball Federation (ÖHB) have announced Icelander Patrékur Johannesson as the new head coach of their men's national team ahead of their qualification matches for the World Championships 2013 and EHF EURO 2014. Johannesson, who played in the Icelandic national team for 14 years and is the seventh-most capped player for his country, was a roommate of former Austrian head coach Dagur Sigurdsson. The 39-year-old Icelander played for TUSEM Essen for seven years and for GWD Minden. As a coach he has worked for German club TVE Emsdetten and most recently as sports director in his Icelandic home town Garðabær, from which he joins Austria. "I could have considered to continuing working in Iceland as well as Austria but I have decided to work for Austria only. I'm studying sports science in Iceland, but the national team is number one for me. “Dagur and I have been good friends for many years and I have often talked to him about handball in Austria which will be even more in the future now! Everyone can learn from Dagur, but I have my own style and I will go my own way as a coach." "We have had very good experiences with Icelanders, in particular Dagur Sigurdsson, and look forward to continuing this with Patrékur. “Dagur recommended Patrékur as a highly ambitious and young coach. He has many years of experience in the national team, playing in nearly 250 international matches, plus he has played in the German league for many years. “In our first conversations he left a very good impression. He is an open-minded guy and as a coach he definitely knows exactly what he wants. The question of the post of Assistant Coach will be discussed in the coming weeks." Patrékur Johannesson will take charge of his side for the first time in mid-September with training sessions whilst his first competitive action will be in a four nations tournament in Poland in November where he will do battle with Poland, Russia and Egypt. After a short training course in December, in early January the World Championship 2013 qualification games against Israel and Great Britain will take place from January 4th to 15th. "Our first goal is to get through the first round in January,” said Johanneson. “Then I would like to form a team that has a lot of confidence, is physically in great shape and is easily and successfully playing handball. “I want to work a lot with the coaches of my national team players and stay in touch with them. My dream goal is to win something later at a European or World Championships, but right now I am only thinking about the matches in January. Anything else comes later." For more information please visit the Austrian Handball Federation website at www.oehb.at.